Beneath the Remains, the third studio album and major label debut of Brazilian thrash metal royalty Sepultura, was released 30 years ago today! And what a release it was! An all-time thrash classic, Beneath The Remains fully marked the emergence of one of metal’s most enduring talent’s and laid down the gauntlet to thrash metal bands the world over. According to vocalist Max Cavalera, Sepultura had “really found [their] style” on that album and you’d be a fool to argue with that particular sentiment. Brutal yet catchy in equal measure, thrash metal and death metal collided to thrilling effect as Sepultura realised their full potential at just the third time of asking. The epitome of all killer, no filler, a de riguer acoustic intro gave way to Beneath The Remains’ incendiary title track and the Seps were off and running; thrashing with more aggression, and more intensity than the majority of their peers could ever hope to muster. “Inner Self” and “Stronger Than Hate” then offered the ‘hits’ before the riff-fest of “Mass Hypnosis” garnered Sepultura ultimate technical bragging rights! 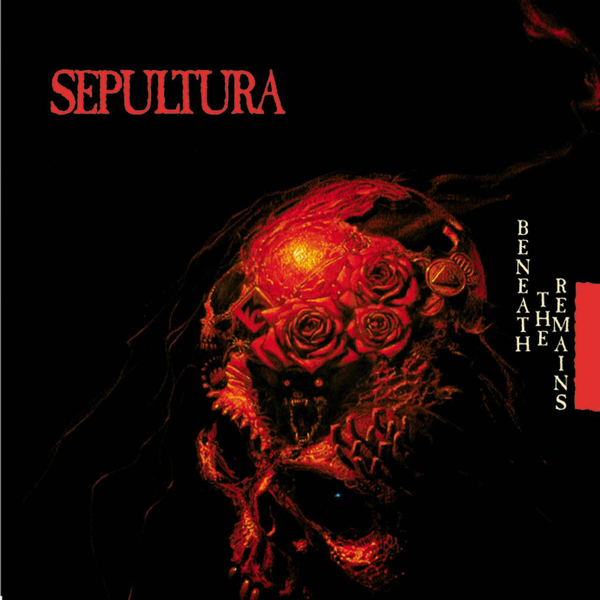 Produced by renowned death metal producer Scott Burns (Obituary, Death, Morbid Angel) it was evident, when compared to their previous releases, that a monumental leap forward in Sepultura’s musicianship and composition skills had occurred. A brutal indictment of growing up in the favelas of Brazil, the ‘Seps’ harnessed their experiences and produced a visceral, primitive sound, bringing world music to the thrash scene and setting themselves up as one of extreme metal’s finest ever bands. Italian thrashers are FUELED BY RAGE! Scottish Speed Merchants THRASHIST REGIME Announce New Album Details!